Uncharted: The Lost Legacy is less than a week away from arriving on store shelves and into your hands, but as we count these final days, we’re doing everything we can to help pass the time. 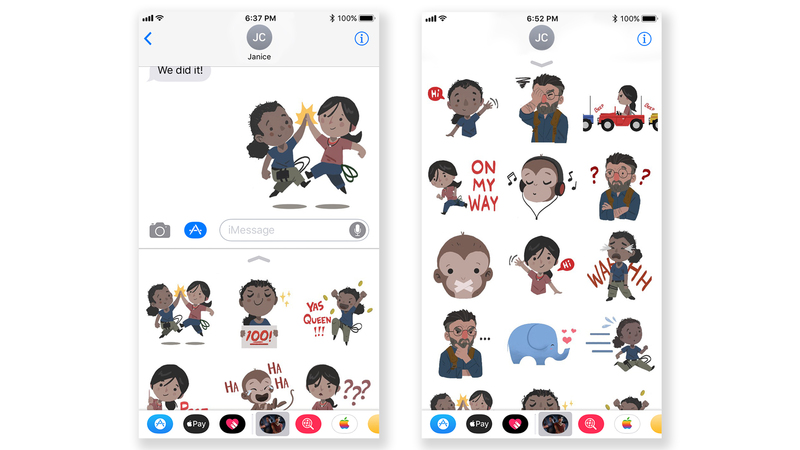 As part of our pre-launch preparations, we’re thrilled to be rolling out our new Uncharted: The Lost Legacy Stickers for Apple Devices. These adorably illustrated stickers will add a little adventure to any conversation with help from Chloe, Nadine, Asav, and a few animal friends. From OMW to YAS QWEEN and so many things in between, these new stickers will add some cute and roguish flair to any exchange. Best of all, they’re available for free, starting right now on the App Store! Stay tuned for more updates on Uncharted: The Lost Legacy by following Naughty Dog on Twitter, Facebook, and Instagram!